On the taxi ride there, I felt a little ill. The long, sleepless flight to Lima, a dodgy lunch that was coming back to haunt me, and the abrupt swerving and lurching of the taxi through the congested streets of the Peruvian capital—all seemed to be taking their toll. By the time I and my companions clambered out at the Puruchuco Museum and filed into a small backroom to meet the director, I was certain I was in for a long, queasy afternoon. Then I spotted two old notebooks lying on the table. 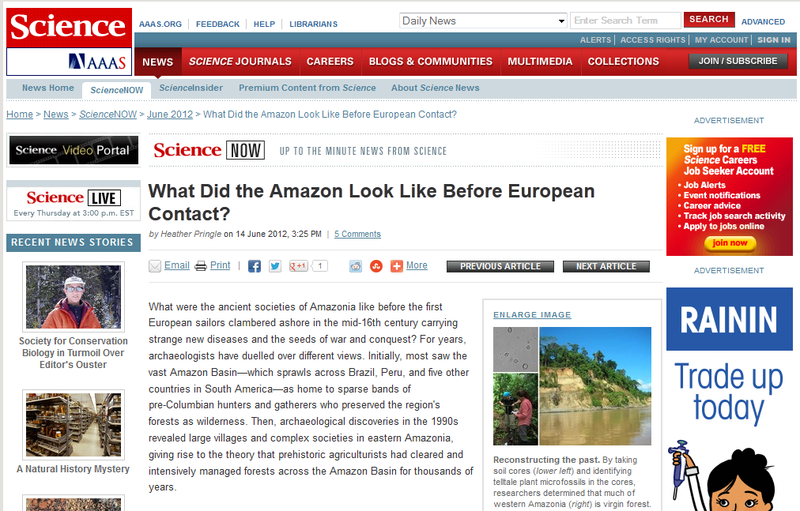 Yesterday, Science magazine posted my article on a contentious new study on the ancient forests of the Amazon. To read more, please click here. 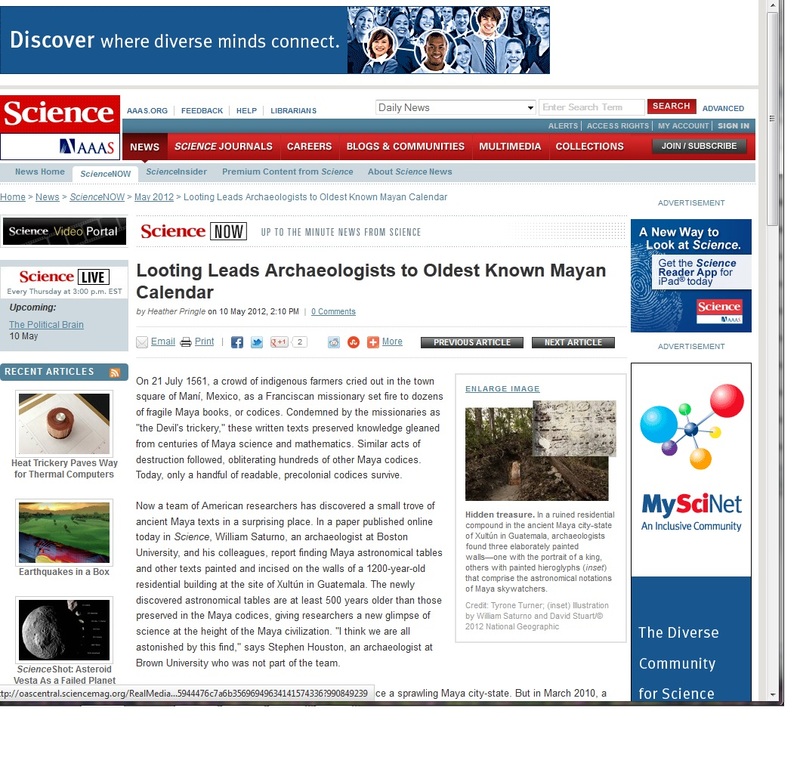 My article on a very cool new discovery from the Maya world appears today on the website of Science. To read it, please click here. For our early human ancestors in Africa, nighttime was anything but the right time. On moonless nights, lions and other large predators could readily stalk resting humans and attack virtually unseen. But eventually early humans discovered a clever way to frighten off large carnivores and solve a host of other problems: they tamed fire. With a small blaze lighting the darkness, humans could ward off the cold, cook hot dinners and gather together and socialize around hearths. But when did humans first domesticate fire? New research at Wonderwerk Cave in South Africa suggests that our ancestors succeeded in kindling fires 1 million years ago –200,000 years earlier than previous evidence suggested. To read my news story on this for ScienceNow, please click here. Photos courtesy of M. Chazan. 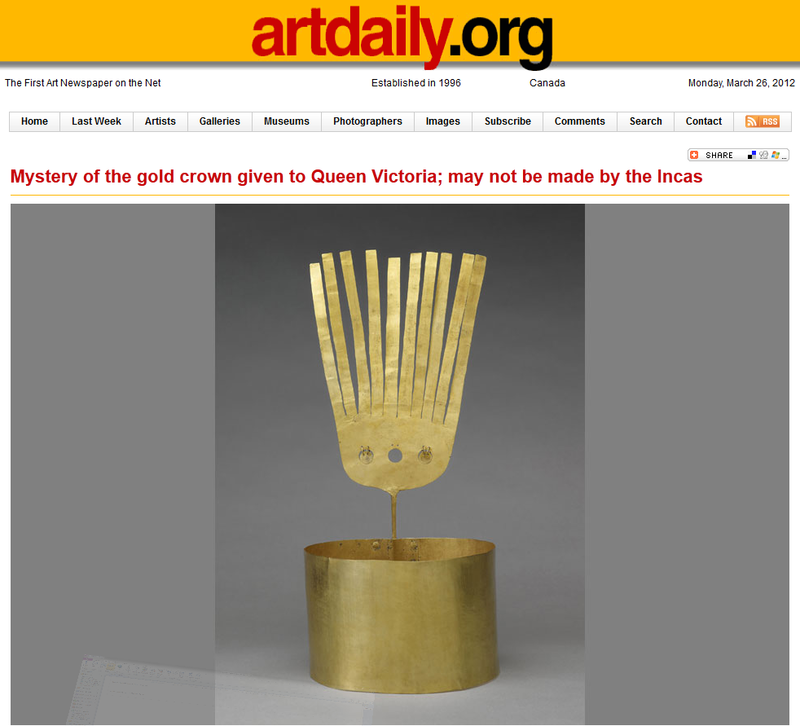 This story of a golden crown with an exquisite golden plume caught my eye yesterday. Actually, it did far more than catch my eye. It brought to mind a relatively little-known chapter in the history of the Inca Empire—the fierce conquest of the proud and wealthy chiefs of highland Ecuador, nearly a thousand miles away from Cuzco. But before I get to that, let me tell you first about the crown. It comes from a royal tomb in or near the small Ecuadorian town of Chordeleg, a place where the Cañari people once buried their greatest chiefs and nobles. 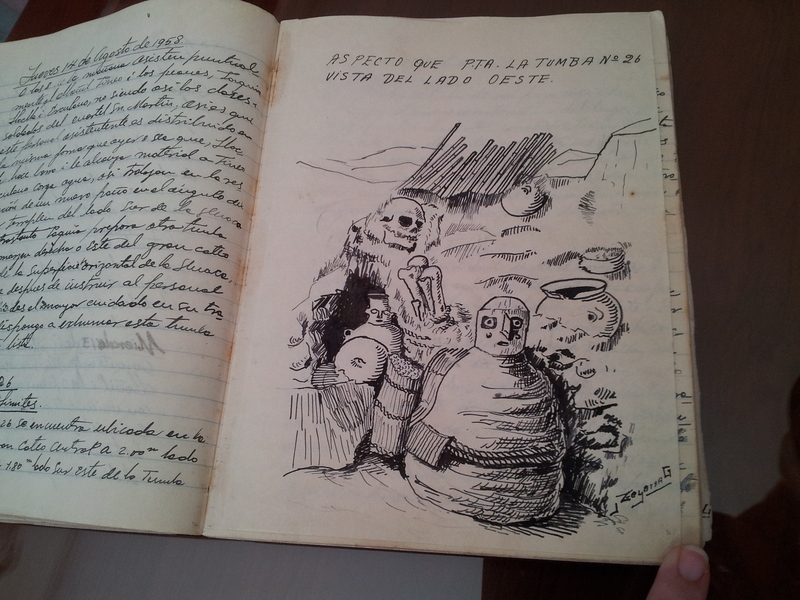 In 1854, someone digging in the site—someone I haven’t been able to track down, so possibly a curio collector—discovered this Andean masterpiece. What happened next is unclear, but in 1862, the president of Ecuador sent the crown as a present to one of the greatest queens of the day, Victoria, soon after the death of her beloved Albert. Perhaps this Latin American statesman was a sentimentalist and meant to cheer her up. In any case, the queen’s officials duly logged it into the royal collection at Windsor Castle. And there it remained until another British queen, Elizabeth, prepared to celebrate her Diamond Jubilee in 2012. I love unguarded moments, those brief seconds when someone on stage or in front of a camera finally gives way to nervousness and says or does something completely unplanned and unrehearsed, something that just spills out like a stream overtaking its banks. For a moment, we see something that we weren’t meant to, something revealing, something truthful, something charming, and we smile in delight at this most human of connections. It may sound strange but I look for traces of unguarded moments all the time when I am wandering prehistoric sites. So much of archaeology is the public face of our human ancestors: the carefully planned stone wall, the polished sherd, the delicately chipped edge of a projectile point. But every once in a while archaeologists catch a glimpse of something else, something that has the spark of life. 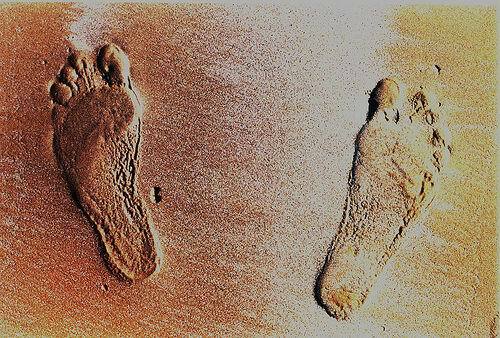 And often it’s where you might least expect it–running along on the ground in the humble indentations of human footprints. 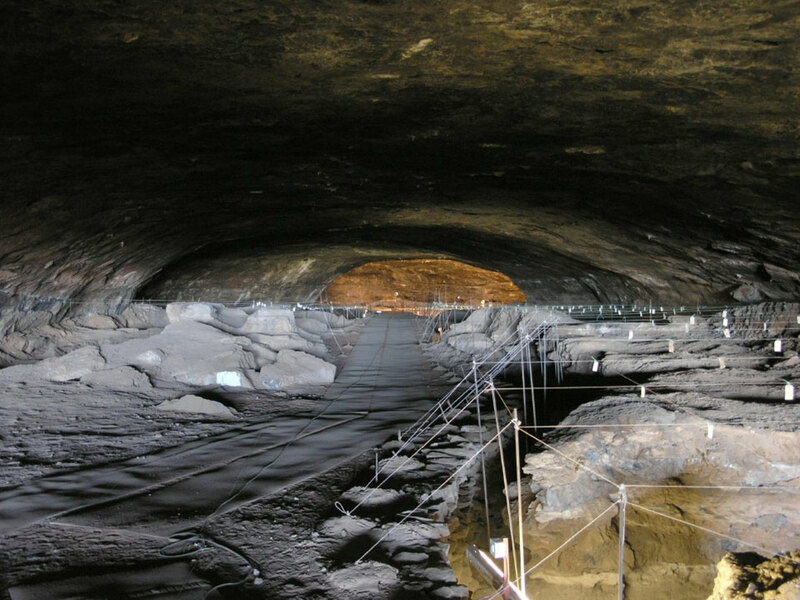 Just last week, the British press carried a wonderful story about the discovery of a Roman child’s footprints in a site in northern England destined to become part of an upgraded A1 highway. To read more, please visit The Last Word on Nothing. At one time or another, we’ve all seen the private workings of a 19th-century brothel, thanks to the silver screen. My own favorite film on this subject happens to be something that you will only see on the Turner Movie Channel these days: McCabe and Mrs. Miller, directed by none other than Robert Altman. Did Altman get any of it right? Well, archaeologists have dug a wide range of 19th century brothels in recent years, including a very upscale establishment in Washington D.C. that once catered to politicians. Now an ongoing research project by Boston University archaeologist Mary Beaudry is shedding light on the life of a brothel madam, Mrs. Lake, and her employees at 27 and 29 Endicott Street, Boston. For more, see my new post at The Last Word on Nothing. In Science this week, I write about some very ingenious research that a new breed of archaeologists–archaeoentomologists, as they like to be known–are carrying out on insect remains recovered from ancient sites. 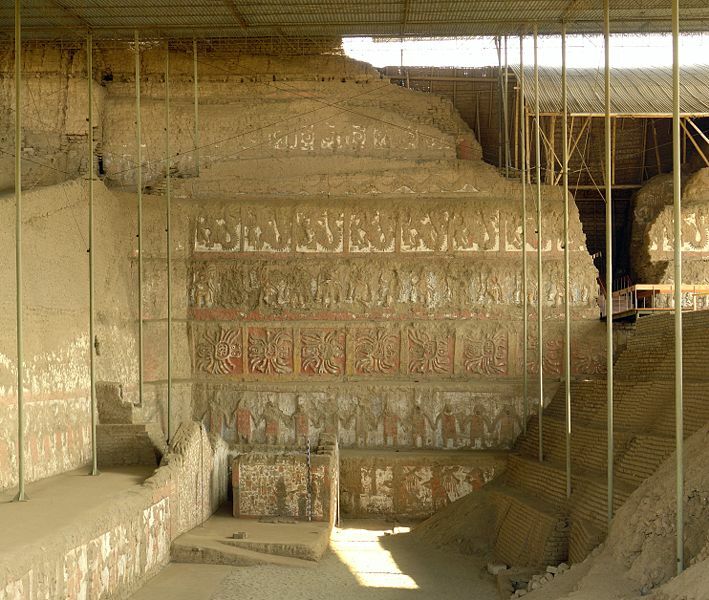 By poring over fly puparia preserved in an 1800-year-old grave at the Moche site of Huaca de la Luna in Peru, French archaeoentomologist Jean-Bernard Huchet has completed a CSI-style study of Moche burial practices. And by studying small weevil-shaped holes in Jomon pots dating to at least 9000 years ago, Japanese archaeologist Hiroki Obata and his team raise the possibility of very early agriculture in Japan. 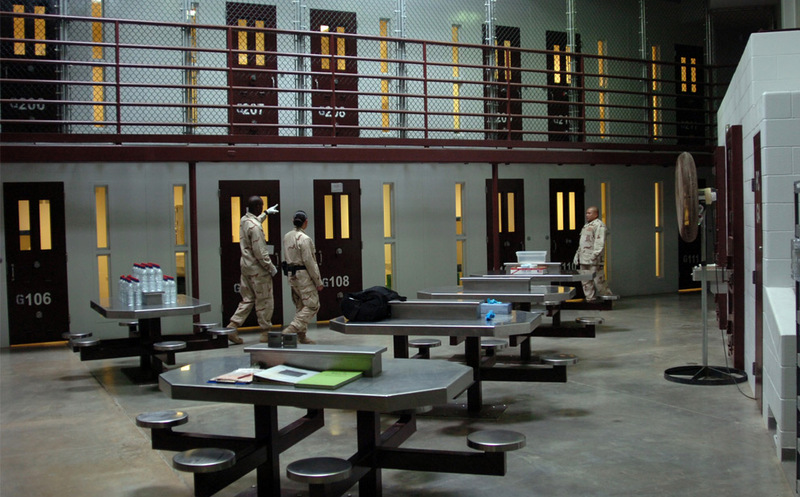 The article lies behind a paywall, unfortunately, but you can read the short summary here.